The Academic Enrichment Program (AEP) is a multi-age classroom, comprised of students across Years 4, 5 and 6. Students are selected to participate based on their academic transcripts, teacher recommendation, and performance during a trial class and interview. 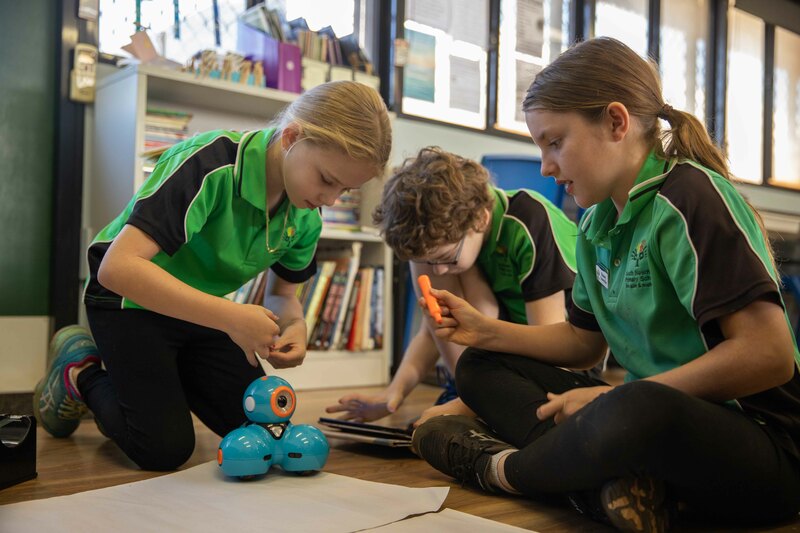 The classroom was created in 2017 as part of the BHP Pilbara Education Partnership’s Academic Enrichment Program. Daily teaching practice in the AEP is modelled on the STEAM approach: Science, Technology, Engineering, Art (Humanities), and Mathematics. This approach highlights the interdisciplinary nature of learning and knowledge. For example, if you are undertaking a bathroom renovation at home you must consider the budget (mathematics), colour scheme (art), and materials for use (science) amongst other things. Students often complete hands-on projects to illustrate their learning, and are actively engaged in applying their learning through attending excursions and community events.